Tickets for the biggest and most glamorous event of the year- powerBall 2018 are selling fast. 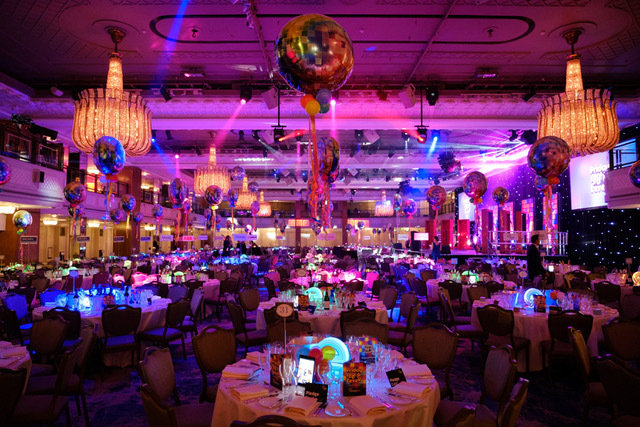 Book your table today and get ready to ‘Have the Time of Your Life’ at the prestigious Grosvenor House Hotel this November. Now in its 87th year, powerBall has established itself as the ‘must attend’ event in the calendar of the electrical industry’s crème de la crème and this year’s remarkable event will not leave anyone in the corner with its world-class entertainment available throughout the night. Guests will have an opportunity to witness one of the most iconic performances of all time – the Dirty Dancing show choreographed by Nikki Trow and dance the night away to some of the best hits from a returning band Madhen and DJ Laura. But the fun will not end there as the evening will also feature the legendary Heads & Tails, Cash Cube and the brand-new Networking Lounge which will allow guests to network and make life-long connections with hundreds of industry leaders. Managing Director, Tessa Ogle says: “At powerBall this year we’d like to raise awareness and focus on mental health issues in the industry. This year has seen the highest amount of mental health cases coming through to the Charity for assistance. Too many industry lives have been lost. Our industry has the highest suicide rates, currently at 2.7 times higher than the national average. We must do more to challenge the stigma around mental health and make our industry a more understanding and healthier place for everyone to work in. Don’t miss out on the best evening of the year. Book your table today and be prepared for a night of Dirty Dancing. Prices start at £2,500+VAT for a table of 10 or £250+VAT for an individual ticket.